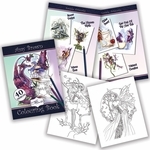 Amy Brown's fairies are distinct and striking, and this one is no exception! based upon stunning artwork, this figurine features a fairy lady holding a curling staff and gazing off into the distance. 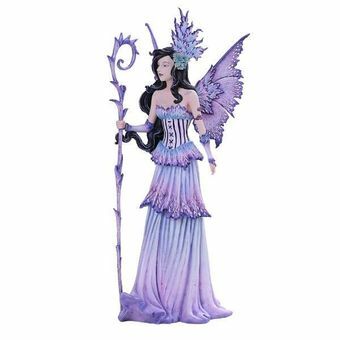 The fae wears a corset dress in shades of lavender, with matching wings and accessories. The perfect addition to your decor!